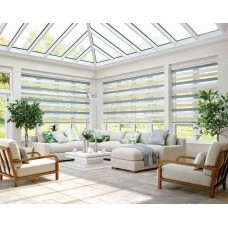 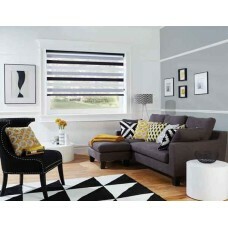 Liven up your windows with Vision Window Blinds. 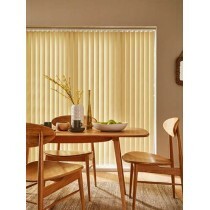 Controlling the light while maintaining the view, create an impact with Vision, a striking new window blind for the modern home. 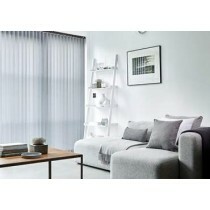 Vision is a stylish fabric that gently filters and softens daylight whilst also offering you the option of a privacy blind. 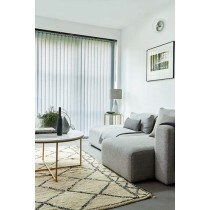 The Vision fabric collection features beautiful metallic finishes, pretty sheer fabrics, natural wood woven effects and a fashionable selection of muted tones. 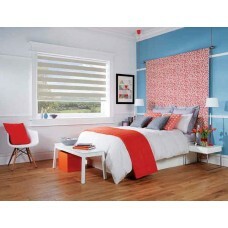 Combined with a number of headrail options, Vision blinds are sure to complement any interior design scheme. 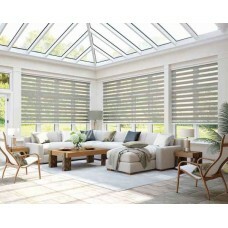 At Warrington Blinds Direct we have a huge range of products, colours and materials only a small proportion of which can be displayed on our website so please contact us or visit our showroom to view our complete range. 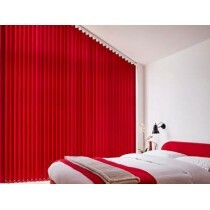 Works in the same way as a classic roller blind. 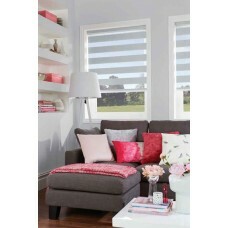 Siena Biscuit - Day night blind Our range of day to night blinds available at Warrington Blind..
Sorrento Luna - Day night vision blindsOur range of day to night vision blinds available at our wind..
Sorrento Sahara - Day Night Vision BlindsThe range of day to night vision blinds we have available h..
Tuscany, Mink - Day Night Vision Blinds Our range of day to night vision blinds are available ..
Tuscany, White - Day Night Vision BlindsOur full range of day to night vision blinds are available t..
Verona Platinum - Day Night Vision BlindsThe range of day to night vision blinds we have available t..